When we get into drivers’ cars and tell them about our plans, a lot of people call us crazy. And we probably are, but not in the reckless way of the word. Very often our perception of what is dangerous is really interesting and sometimes very bizarre though. through Japan and South Korea for 5 weeks. Funnily enough, South Korea and Japan (along with New Zealand) are probably the safest places that I have travelled so far. So why was she afraid? Probably because my grandma is generally a very worrying kind of person and knows fairly little about these places, so her imagination will fill out these missing bits of intercultural experience. On top of that, hitch-hiking and couchsurfing are perceived by her and by many others as dealing carelessly with your life, because of course – what do you know about this stranger that you put so much trust in? After all, the media teaches us that it indeed is a very reckless decision to trust random strangers. I began hitch-hiking and couchsurfing 5 years ago when I started my first bigger journey in New Zealand. Of course that is not nearly long enough to debunk all these doubts, especially as most of my travels have been in rather safe countries. However, it has been certainly long enough to make my own experiences and to form my own opinion about trusting strangers. Let’s talk about the materialistic part first – why would people offer something for free that they could charge money for (For example in AirBnB or BlaBlaCar)? After all, you would be stupid to offer it for free and so just people with bad intentions would use these free platforms to scam people, right? On second thought though, there is so much that you can get from hosting travellers in your home or giving them a lift. Because of the absence of money, these actions become way more personal and create the feeling of being with friends. Couchsurfing or similar platforms like BeWelcome or HospitalityClub give people the opportunity to offer their home to travellers for free. I have hosted strangers in my home in the times that I couldn’t travel or sometimes even when I was not at home. And I made beautiful experiences through it; be it sharing stories over a beer, learning more about a country, cooking a foreign dish together, learning a new language or just regaining trust in people. And once in a while I also got something material back as people would bring specialities from their homecountry or leave a postcard with nice words. I have made friends from all over the world through Couchsurfing. I think these intercultural experiences are super important for a peaceful society. Moreover, I think the same applies to taking hitch-hikers. You might spent a fraction more money on the fuel, but you will most likely get to know interesting people with good stories and get a lot of gratefulness back. You can get inspired by their stories, feel good about helping others out and you will get company for a possibly boring ride. I have had amazing talks with drivers and most of the time left them with a happier face than when they picked me up. And I like to believe this was not because they were happy about finally getting rid of me. So there are plenty of reasons to let strangers in your home or your car and I believe that most people can grasp these and might have an interest in trying it out eventually. But let’s talk about the security aspect, seeing as both sides are obviously in a very vulnerable situation in hitch-hiking as well as in couchsurfing. And because the big stories that you hear about in the media will tell you about psychopaths and rapes, but not about the millions of positive experiences, people will have an irrationally high fear of the former. To deal with this fear, Couchsurfing and similar platforms implemented quite a simple approach to that apart from filling out a personal profile. After you meet another community member, you can write them a reference and talk about your experience with this person so that other members can get an impression of the person they’re going to meet. From my experience, you can tell quite well what kind of person you will encounter from these references plus the personal profile. However, this doesn’t stop me from meeting people without references -We all have to start somewhere, I would just be a bit more careful in the beginning. I do need to acknowledge that as a guy I do have a slightly lower risk though… When I would host them in our shared flat out of respect for my flatmates, I would sometimes tell them about my worries and ask them to tell me something about themselves, talk on the phone or send their Facebook-profile. Through these measures I always managed to have a very good and personal feeling towards every person that I have met through Couchsurfing or BeWelcome. 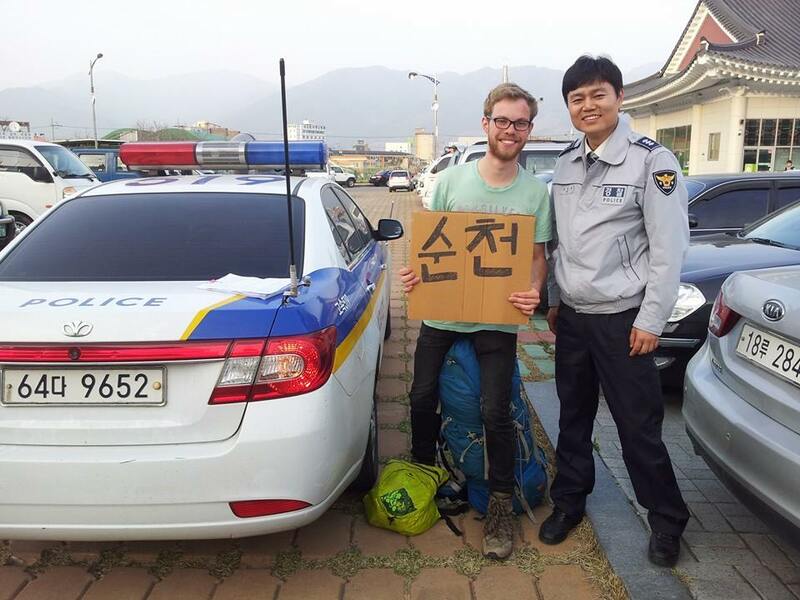 All in all though, once you start hitch-hiking or couchsurfing you will realise that the vast majority of people have good intentions and want to help you out or show you their country. People have been incredibly awesome and welcoming towards me and have inspired me to act similarly towards strangers in whichever place I live – and I think this is a wonderful thing. ← Spicyroad’s Week in Review #3!